Sunset junction limited was incorporated in 2008. Its purpose of incorporation was to build and operate lodges in Zambia to meet the growing demand for quality accommodation and hospitality requirements to both local and international holiday makers. The attentive staff helps create a friendly and inviting atmosphere for guests and can offer tips on what to do and see during your stay within the Tourist Capital of Zambia. 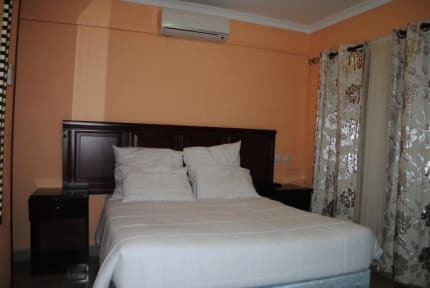 Sunset Junction Lodge and Tours is ideally located 4 Km from the heart of Livingstone town, a kilometer from Harry Mwaanga Nkumbula International Airport and 10 km from one of the Seven Wonders of the World, The Mighty Victoria Falls. 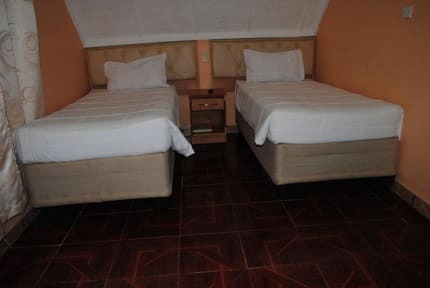 Sunset Junction Lodge & Tours offers has standard double rooms with 1 big bed in it, and it can accommodate maximum number of 2 people and standard twin rooms with 2 separate single beds this type of a room can accommodate maximum number of 2 people, we have kitchen at our lodge meant to prepare meals for guests at an extra fee, we also have free Wi-Fi for guests and free car park.